We’re happy to announce that Realm’s recent agreement with uPhyca Inc. has resulted in Makoto Yamazaki, a.k.a. @zaki50, joining our team! Makoto will support Realm’s development in Japan, focusing mainly on the Android platform. 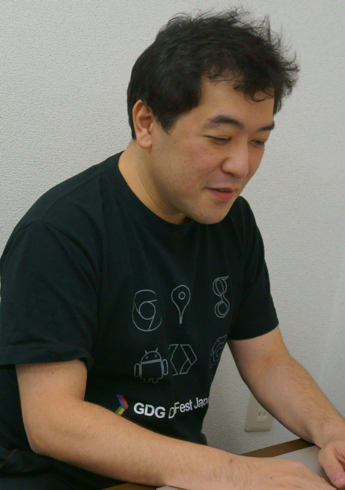 As a seasoned Java and Android expert, Makoto has already developed many apps. He has also given technical presentations at several Android conferences, including Android Bazaar and Conference (ABC) and DroidKaigi. In addition to helping us develop Realm software, Makoto will also support Japanese developers by sharing information and maintaining a helpful presence in the community. Japanese developers have already been talking about Realm on channels such as Twitter, Facebook, Stack Overflow, and Slack, thanks to Katsumi Kishikawa, another Realm team member based in Japan. With Makoto’s help, we are confident that we will provide even better support to Japanese developers. You can follow Makoto on Twitter and GitHub, or you can even drop him an old fashioned email. Realm is a mobile database: a replacement for SQLite & Core Data. It’s easy to use, fast, and cross platform. The Realm community in Japan is very active. We regularly organize meetups to share knowledge, host technical presentations, and help Realm users meet one other. Many Japanese apps are already using Realm, including AWA, Nikkei, Eight, Sync by Wantedly, and ChatWork. Please join our Realm Japan User Group on Facebook to find help solving technical problems, as well as case studies, presentations, and tips for using Realm. We also run Realm Slack. Feel free to join us there and ask any questions you have, in Japanese or English. Happy Hacking! If you’d like to work with Makoto and the rest of us at Realm, take a look at our jobs page, or drop Tim a line.